This pest appeared on the squash plants yesterday. What is it? How do I treat it? Zone 6 near Boston, Massachusetts. This is another case of "dog vomit slime mold", or Fuligo septica. It pops up unannounced, often on wood chips (which I see isn't your case here), and spreads a little bit, but in sort of a limited way. By that I mean it gets a little bigger, but doesn't really spread past the immediate area that it started in. It goes through a definite short lifecycle, changing color from psychedelic-yellow, to vomitty pinkish-beige, to black, all in the space of ... a month I guess(? ), and then it dries up and blows away. 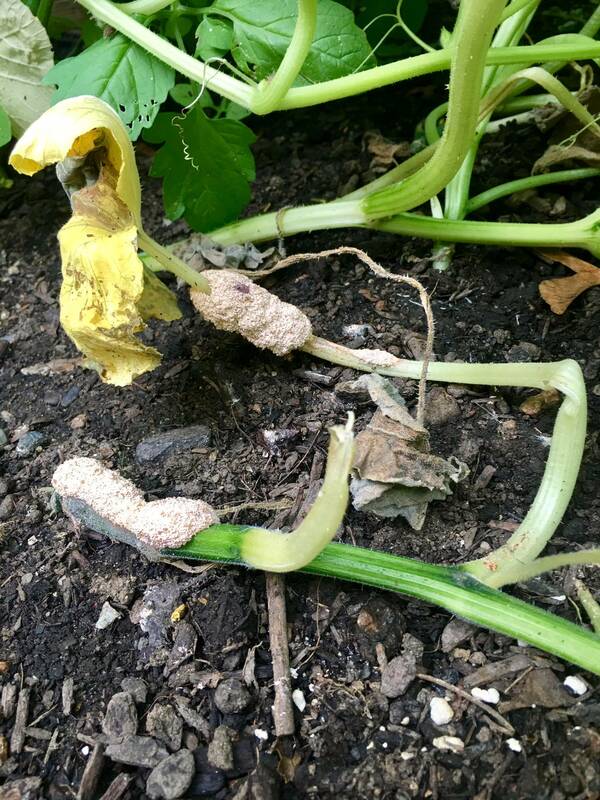 Unless it engulfs your entire squash plant (and it doesn't look like it is huge enough to do anything close to that), it won't really harm anything. Not the answer you're looking for? Browse other questions tagged diseases pests urban-gardening or ask your own question. How to treat a Jade plant with yellow leaves and holes in its leaves? Should I treat every aphid infestation?